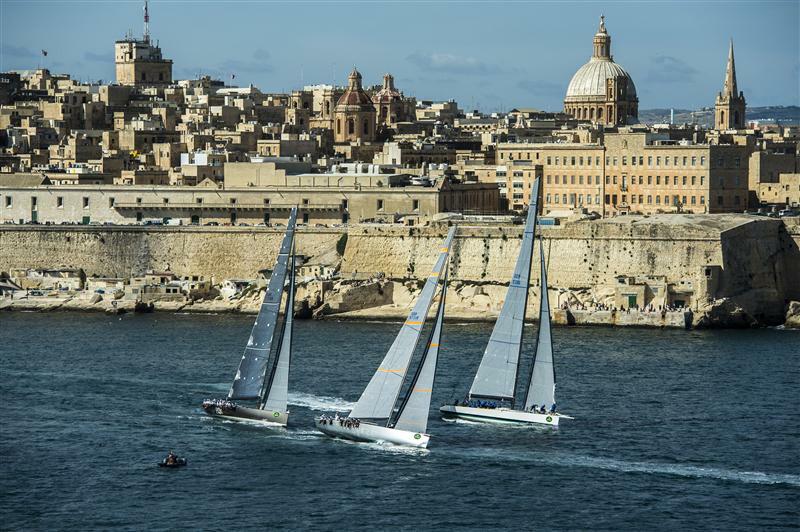 The 34th Rolex Middle Sea Race is underway. 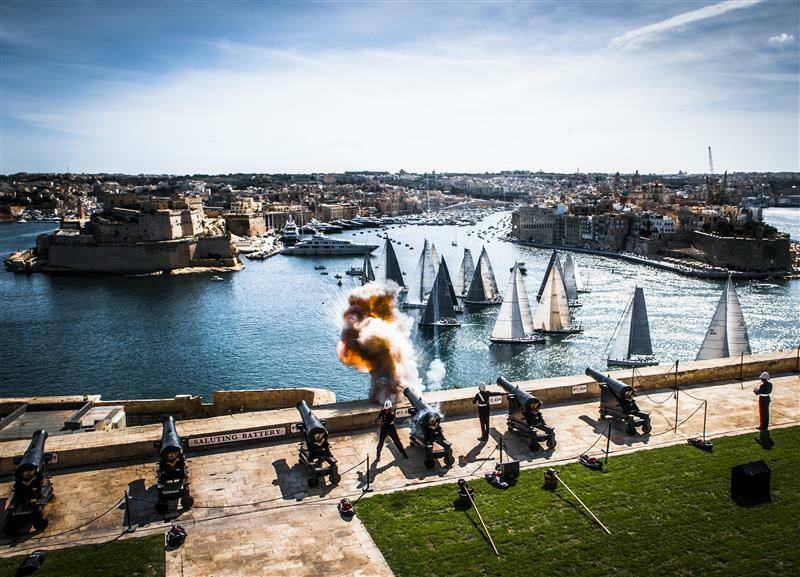 Today’s race start, divided into six separate sequences, was conducted in front of a large crowd in sun-kissed Valletta, Malta. 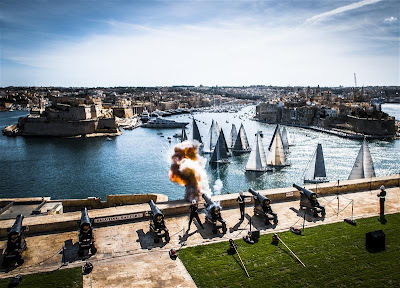 A steady twelve-knot southerly ensured the fleet made good progress from the start line in the Grand Harbour and out of the breakwater into the open sea. With 99 yachts from 19 different countries on the startline the 606-nm race, representing a race record and easily surpassing the previous best of 82 starters set in 2012. 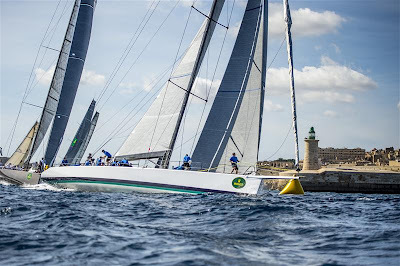 Three hours into the race, the Kristina Plattner-skippered 86-ft Maxi Morning Glory from Germany led the fleet on the approach to the southeast coast of Sicily. 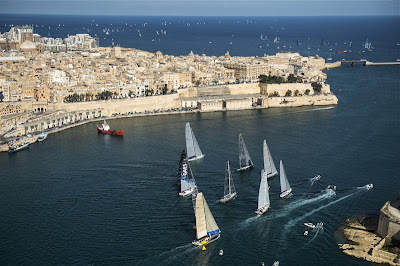 Travelling at a consistent 12 knots, and although early in the race,Morning Glory is currently on course to maintain her pre-race target of challenging the race record of just under 48 hours. As forecast, Morning Glory has the two 72-ft Mini Maxis – Alegre (GBR) and Robertissima III (ITA) for close company. 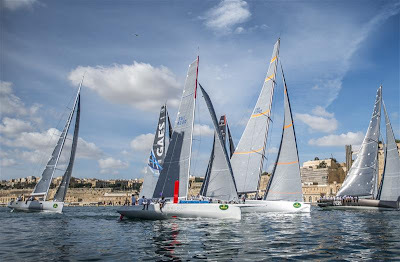 Before departure from the docks of the Royal Malta Yacht Club this morning, the general sentiment among the crews was that forecast conditions pointed to a fast race. “It’s a lot better forecast than last year and a lot of downwind which suits us,” explained Mitch Booth on the 42-ft Swiss entry Kuka Light which sails under the slogan ‘less fat, more speed’.